The Metro America Report takes a data-driven look at the cultural, demographic, and economic shifts now taking place in cities and regions across the United States. The travel industry is moving away from the nation as the baseline unit of measure for analyzing travel consumer trends. Technology enables businesses to get more granular. Regions, metro areas, and even neighborhoods are emerging as the more relevant context for understanding traveler demand, attitudes, and preferences. In response, we're launching this report series aimed at helping travel leaders and investors analyze market change at the sub-national level. The Metro America Report is also part of Destination-as-a-Platform, our strategic research program focused on travel innovation at the local level. In this data series, we offer insights on population shifts at the national, state, regional, and metropolitan level. Unless otherwise stated, all comparisons refer to the time period between 2010 and 2017. This is an enlightening time series to analyze, because it reflects on the upswing segment of an economic cycle that has played out since the onset of the great recession in 2008. America has changed dramatically during this short period. Professionals have since retooled to meet the demands of the new digital economy. The U.S. economy has fared much better as a whole and on paper, the nation is close to full employment. Despite this general progress, optimism is not shared equally. The recent political divisions witnessed in the U.S. and in other parts of the world point to the challenges that rising inequality poses to the overall stability of the global economy. General gaps in opportunity and living standards translating into movement and churn between population centers, as local economies bend and flex to the pressures playing out globally. Migration and the rise and decline of regions is the telling sign that change is the only constant. How To Analyze Metropolitan America. Metropolitan Statistical Areas are geographically clustered population centers bound together by cultural, economic, and political forces. These are not administrative designations, but rather statistical groupings used for analysis at the sub-national level. There are consolidated metropolitan statistical areas, primary statistical areas and metropolitan statistical areas. CMSAs are America's mega regions. New York is America's largest CMSA. It stretches across three different states. PMSAs are the cities within cities. They are always part of a CMSA. The MSAs are more isolated satellites. Any town or city larger than 50,000 people is classified by the U.S. Office of Management and Budget as an MSA. The smallest MSA in 2017 was Carson City, Nevada with just over 57 thousand inhabitants. The U.S. added 17 million people between 2010 and 2017. Seventeen million is roughly the current population of the Netherlands. Migration. Many are headed South or West. America has four unique regions. The Northeast, Midwest, West, and South. Just over 84 percent of the total new population growth happened in the West and South. LUFT; U.S. Census estimates; Total national change 17 million. The South accounted for over 54 percent of new growth during this time. Technology and manufacturing jobs continue to move down south. The American South is roughly the size of the country of Japan. The ten fastest growing states accounted for 70 percent of total national growth. Texas, California, and Florida accounted for 45 percent of total national growth between 2010-2017. Illinois, West Virginia, and Vermont were the only three states that lost people. Illinois lost 40,000 people between the years 2010 and 2017. The Chicago metropolitan area grew a modest two percent. There are 391 MSAs spread out across the United States including Hawaii and Alaska. Nine mega regions have over five million people in them. Approximately 60 of America's metro areas have over one million people. China has 143 metro areas with over one million inhabitants. 27 percent of Americans lived in the top ten largest (C)MSAs. Dallas and Houston grew the most in real terms, each adding close to one million inhabitants between 2010 and 2017. One in four Americans now lives in a mid-sized MSA. We define mid-sized as those with a population between four and one million people. Austin, Texas grew the fastest in this category adding over 350,000 new inhabitants since 2010.  Mid-Sized MSAs refer to those between four and one million inhabitants. Size Matters. More Americans are gravitating toward bigger cities. Of the 86 Metro areas that shrank in size between 2010 and 2017, just seven had a population greater than 500,000. The biggest loser was Pittsburgh, Pennsylvania. The area shed just over 23,000 inhabitants during this period. LUFT is a travel industry & market research company focused on helping brands navigate change. Explore our services.